Beautiful mountain farm in Nelson County! A nice mix of open and wooded areas. Mountain views, streams and spring. Very private with lots of investment possibilities. No conservation easement, electric on property with old one-story farm house sold "as is." Timber, open areas, hunting, hiking, Off-road recreation...all in wild and wonderful Nelson County! Property near Lovingston for your shopping needs, also close to many wineries, breweries, and distilleries. The James, Rockfish and Tye Rivers are close by for your boating and fishing recreation needs. Nice piece of property in Nelson County near the Rockfish and James Rivers and the community Schuyler and Howardsville. Good road frontage with a mix of rolling fields and mixed hardwoods and pine. Nice pond and stream with great possibilities to create a small farm. Private setting with trails and tons of wildlife. Come join the country life and get away from it all! Nelson County is a prime getaway destination with many wineries, breweries and distilleries to visit and tour. Nelson County also has Wintergreen Resort, Stoney Creek Golf Course. Can you say camping, fishing, swimming, relaxing, at your private piece of Rockfish River paradise all in the middle of wineries, breweries and distilleries! Nelson County is the destination for Virginia wine, craft beer, cider, and spirits as well as local food and outdoor recreation lovers! This 1 acre lot needs some love, but once cleaned up and landscaped would be your personal swimming and fishing hole located right off Rt 6, River Road. Lot is priced to sell. Great fishing and swimming areas straight ahead, rare find indeed! 4WD or all AWD needed for access! Prime investment land In the heart of Central Virginia! Presently used as tree Farm with young planted pine and about 30 ac.+/- of Hardwood.The land lays well with mountain views streams and rolling terrain...logging trails kept up by hunting clubs. No conservation easements here! Green Creek road splits the property thus adding development value for the right owner. Just a few minutes from the Community of Schuyler the Home of Earl Hamner "John Boy" where The Walton's TV show was created. The Rockfish River is very close by... as well as the Historic James River and community of Howardsville. Great Investment property near Schuyler VA. 198 +/- acres sold in 3 parcels. Good timber value in planted Loblolly Pine and mature hardwood. Dwelling on property used as rental built in late 1900s and will be sold "as is, where is" on on separate 5 ac. parcel. Good Creek borders property with an abundance of big and small game to hunt. Nice trails run through property for horseback riding, hiking, or 4 wheeling. Property is minutes from the community of Schuyler and the Rockfish and James Rivers where there's some of the best Small Bass fishing in VA. 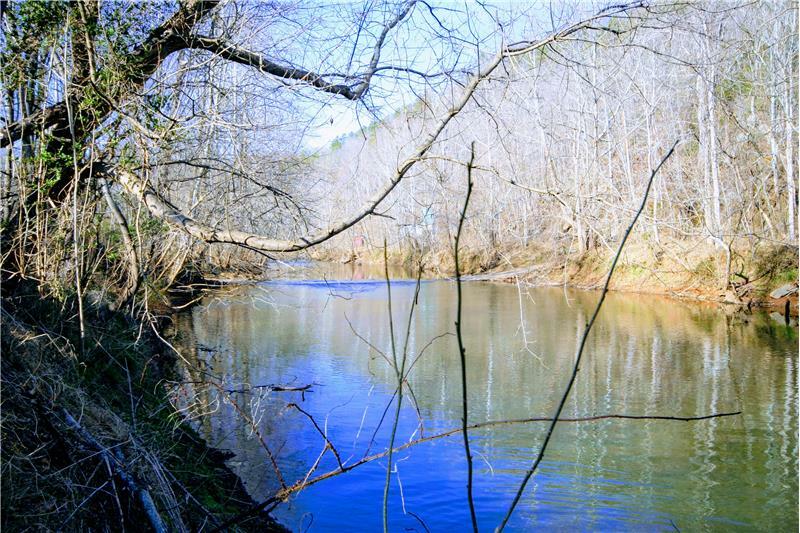 This is a beautiful Mountain property in Nelson County with frontage on the Rockfish River. Mountain views along the ridge line, trails, abundant wildlife to hunt, privacy, building sites, beautiful hardwood timber. Would be a nice retreat area and weekend get away. Great future investment for a group or Family. Home and cabin sites with big views on the ridge lines. The Rockfish is teeming with smallmouth bass and other animals. It can be fished year round by wading or floating. (77.73 acres) Johnson Hollow Road Schuyler, VA This is a beautiful Mountain property in Nelson County with frontage on the Rockfish River. Mountain views along the ridge line, trails, abundant wildlife to hunt, privacy, building sites, beautiful hardwood timber. Would be a nice retreat area and weekend get away. Great future investment for a group or family. Home and cabin sites with big views on the ridge lines. The Rockfish is teaming with smallmouth bass and other animals. It can be fished year round by wading or floating. (66.39 acres) property adjacent to above lot #1, with all the same features including river frontage, mountain views, building sites, privacy and hardwood timber.